Interactive with Cat - This exercise toy can increase the intimate interaction between you and the cat, make the cat full of energy. 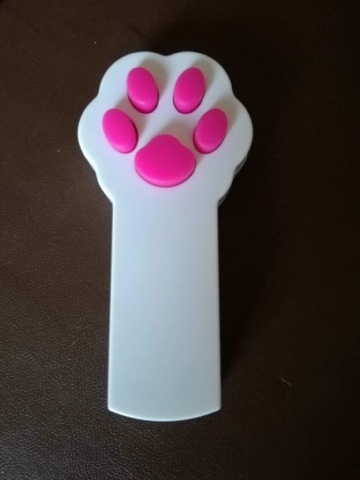 Cute Paw Design - shaped paw, instead of the shape of the traditional toys, more entertaining and interesting. Comfortable Material - silicone button, soft and comfortable, intimate consideration for the owner and cat. Unique Key set - each button can be used to light up the toy. Long Time to Use - Applicable for the replacement of button cell with the 2 AAA batteries (not included) , it can using long time and convenient to discharge. 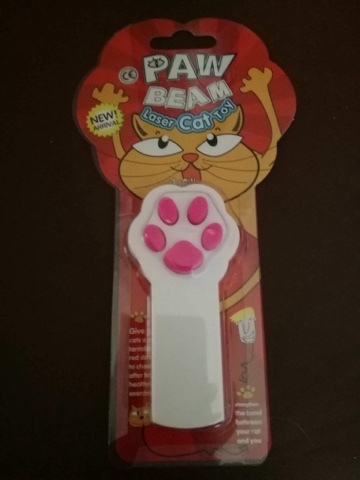 The Paw Beam Laser Cat toy allows you to shine a laser onto the floor for your cat to chase. It's an interactive toy so all of the family can have great fun playing with your cat. It comes in a choice of five main colours - black, white, red, blue and yellow. Bev and her 15 year old cat, Kitty, have tested this toy. "Fifteen year old Kitty had an amazing time chasing this. It turned him into a kitten again with him running, jumping and chasing the light. Our young chihuahua also enjoyed chasing it so it's perfect for dogs too. This gave Kitty some good exercise indoors on a wet day. It's great fun for all of the family to interact with both cats and dogs. I feel that this toy is good value as it's a great way to exercise your pets and it's fun for them too." 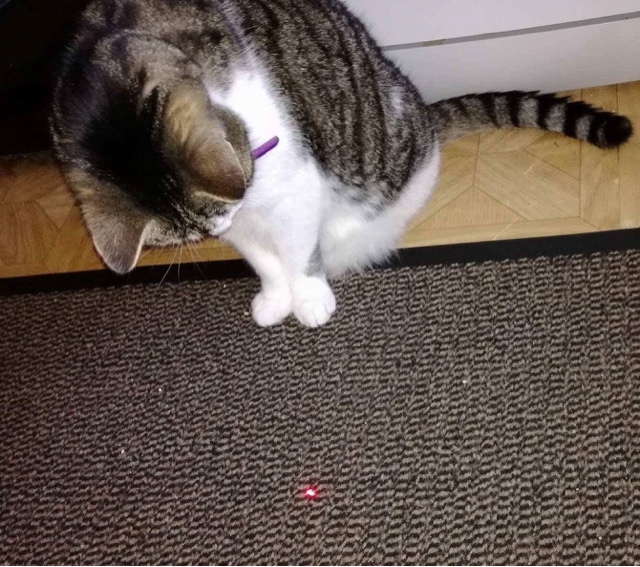 The light that this laser toy generates looks bright and easy for your cat to follow and chase. The design of the toy itself looks fun and stylish, as well as easy to hold. 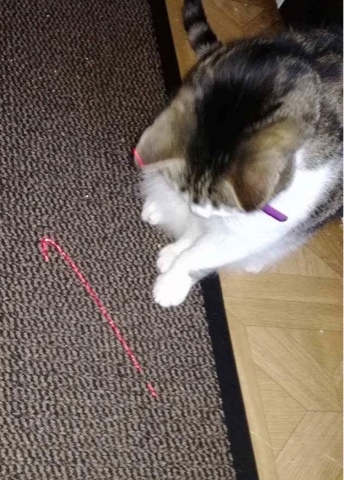 This laser beam toy proved to be extremely popular with Kitty and he gave it five stars. Great fun!